Custom Designs | Creative Carpentry | Custom Kitchen, Bathrooms, Cabinets and More. We at Creative Carpentry specialize in designing and building custom kitchens and custom bathrooms. We also do refinishing, refacing and crown molding. 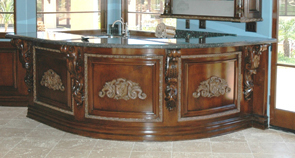 We also specialize in custom furniture and cabinetry. 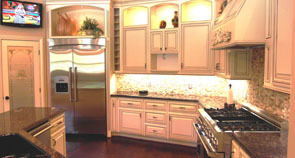 We specialize in designing and creating the most beautiful kitchen cabinetry. Take a look at our kitchen gallery. Our bathrooms are designed with our clients specifications and are crafted with the finest materials. 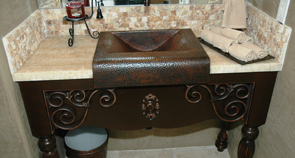 Check out some of our bathrooms. You wont regret it. Here at Creative Carpentry, we do more than just kitchens and bathrooms. Take a look at some of our other work.